With increasing modernization and time, the field of drafting and design services is also becoming relevant among the firms. Most of the firms in the market today have realized the importance of these services and have even gained an edge over the other firms. 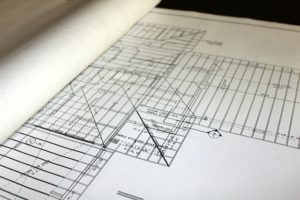 Drafting and design services are playing an essential role in any type of building construction. Drafting and design services can be easily manipulated by design and drafting which takes a long time if made manually. It is the process of bringing imaginations and dreams into reality in the form of various pictures and designs. It’s virtually impossible to construct any structure without proper working drawings and drafting and design services provide the tools to accomplish this monumental task. The finished structure is expensive and time consuming, so it is vital to resolve the design to the minutest details possible before undertaking the construction work. Drafting and design services play an important role in elevating the quality of any project, and detailing is a significant part of the whole design and construction process. The process of drafting design, as we know today is elaborated and widely used for many purposes and a large number of industries. These industries involve electrical, mechanical, plumbing, and construction industry. Drafting and design services perform various dimensional calculations and estimations prior to crafting building designs. Drafting and design services completely display the necessary details of structures and building materials to be used. To develop a design idea into a coherent proposal and to give our concepts and ideas a concrete form we need drawings and drafting is the art of joining lines, dimensions and other objects that produces a complete set of these drawings. These drawings play a vital role in communicating our ideas and concepts to people and in convincing them about the merits of our design. Drafting and design is nothing else but an efficient production of building structures with specification of the dimensions. Basic drafting service include services like foundation plan drawings with footing, shallow, deep and machine foundation drawings, staircase detailing, slab details, roof truss and joist details. Careful detailing can add to the aesthetic beauty of a building and can make an ordinary design look artistic. This firm helps the customers and other companies to maintain the reputed spot in these drafting services by providing the best of these services error-free. Experts in drafting and design services firms spend most of their time on creating multi story, lodging, instructive structures, commercial structures, hotel, hospital, places of worship, and many more. Any type of client wants drafting and design services to be well versed with fulfilling the requirement. These experienced drafters know how to expertly weave creativity with science in order to give you the best possible services. Drafting and design services cannot neglect the detailing part of an design and yet hope to create masterpieces. A good detailing converts an ordinary design into a beautiful end product, but at the same time a poor detailing can turn a good design into an awkward looking structure. If you need a drafting and design service for your new home, remodel or other construction project, please call Alldraft Design Services.